One of the major shareholders of Leisureliner Holdings (Pty) Ltd is Admiral Powercats, the exclusive builder of the Leisureliner II. Admiral Powercats has been developing, building and selling an innovative range of Powerboats from 17ft 45ft since 2007. Operating from our premises in Beaconvale, Cape Town, we are able to produce in volume with repeatable quality and adherence to schedule. Our facilities are ideal for the introduction of the exciting new Leisureliner II. Starting with the excellent design input from Angelo Lavranos and adding our mould and product making capability, results in a delivery process well matched to demanding requirements of the Leisureliner II. 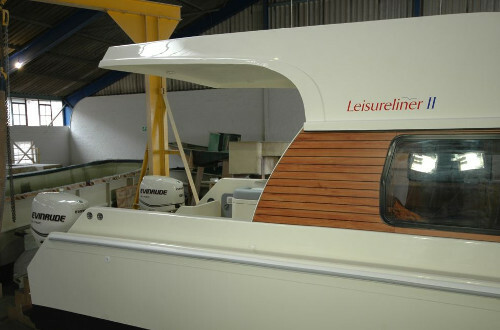 Launched in 1988, the Leisureliner proved a popular choice among private owners and charter operators alike. 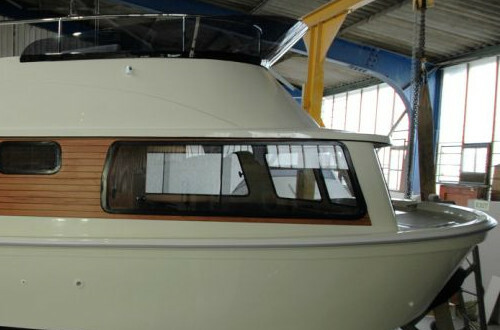 Designed by Angelo Lavranos and first built by John Robertson Yachts, more than 90 of the original Leisureliner design were built over the years by various builders. Designed as a trailable, inland waterway vessel, Leisureliner can be found on many of South Africas popular waterways, with most of those originally built still providing their owners with memorable experiences.